Catholic news media might be the remedy for three of the greatest challenges facing the church in the United States today, according to a leading Catholic journalist who spoke Jan. 30 at St. Charles Borromeo Seminary, Wynnewood. 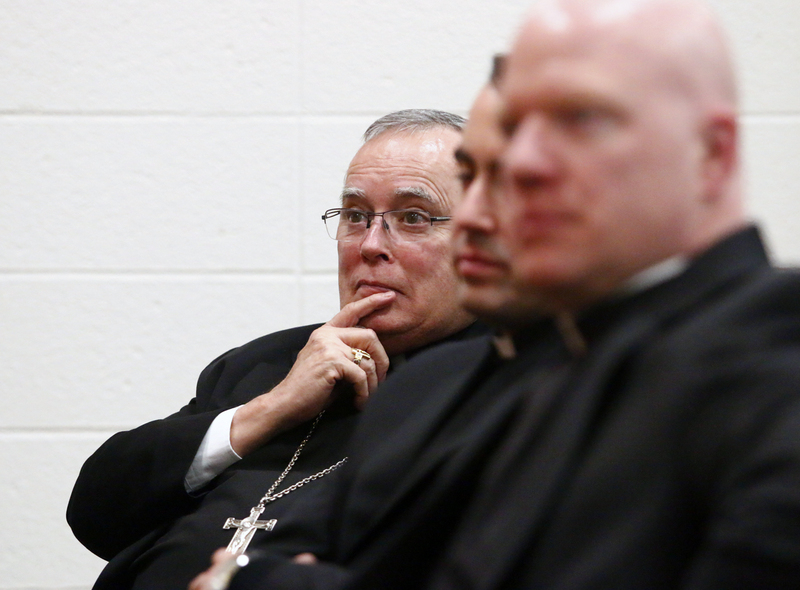 Gregory Erlandson, director and editor in chief of Catholic News Service, delivered the Cardinal John Foley Lecture for about 50 attendees at the seminary including Archbishop Charles Chaput. CNS is the official Catholic news agency of the United States Conference of Catholic Bishops and a partner with CatholicPhilly.com. In his talk, Erlandson recalled the words of Cardinal Foley that could be considered the mission statement of Catholic communicators. Media professionals, the cardinal said only weeks before his death in 2011, have a “sacred bond” with media consumers. “They look to you for information, for formation, for inspiration,” the cardinal said at the time, repeating a theme he had offered Catholic journalists many times in his long ministry in the church and in the Catholic press. The cardinal was editor of The Catholic Standard and Times newspaper in Philadelphia from 1970 to 1984 when he was named to lead the Pontifical Council for Social Communications at the Vatican. Cardinal Foley supported and encouraged generations of Catholic journalists, and his words still apply to the issues facing Catholics and journalists today, Erlandson suggested. He offered context to his talk titled “The Power of the Word: Catholic News Media and Spiritual Formation” by describing three crises in the church today. 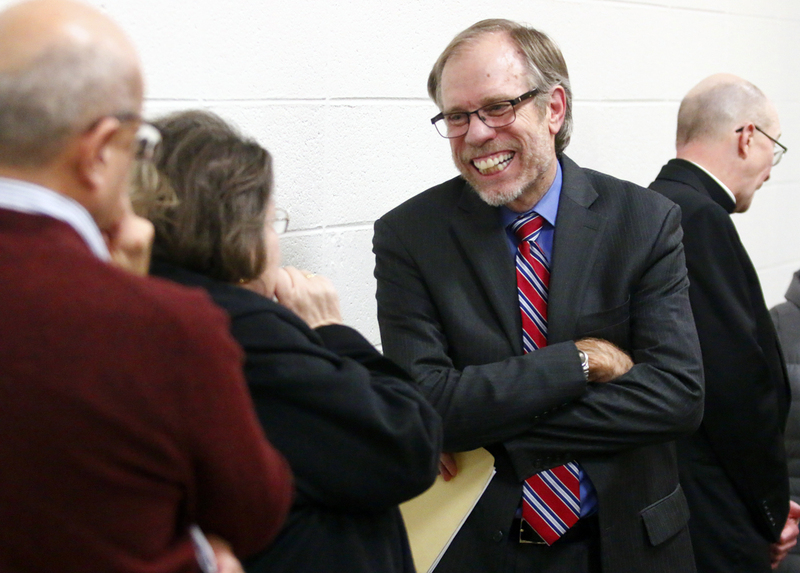 “My conversations with Catholics around the country suggest that they are unaware … of the challenges we face now and will face in extremis in the near future,” Erlandson said. First, an aging priesthood faces a “demographic cliff” that in coming years will not have enough active priests to sustain parish life in the United States as it is structured today. “Each year an average of about 400 new priests are ordained nationwide, while an average of 1,500 retire or die,” Erlandson said. He also cited the decline in the reception of sacramental marriage as well as baptism and other sacraments, driven largely by divorce and remarriage outside the church. Lastly, Erlandson described the dearth of Catholic faith formation for children and especially of adults. Citing a statistic that only 15 percent of Catholic school-age children attend a Catholic school and despite valiant efforts of volunteer religious educators in parish programs, “nearly everyone agrees that many Catholic parents are too distracted, undereducated in the faith or broken to assume their role as ‘primary educators’ of their children,” he said. It has been said that Catholics today are the best educated in the history of the church, but “in this country, this applies to their MDs and their MBAs, not to their religious education,” Erlandson said. 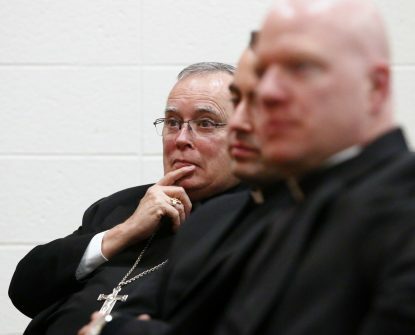 Erlandson suggested Catholic media including television, radio, digital and print publications may best address the need to form lay Catholics to accept the leadership roles they will increasingly need to take in the church. Secular media might not present issues such as the HHS contraceptive mandate, health care reform, immigration reform or the Christian diaspora in the Middle East with the Catholic perspective that offers not propaganda but the truth of the Gospel. “The regular appearance of a Catholic publication with news, analysis, columns and features in a virtual or actual mailbox does more to help form more adult Catholics than any other method or tool,” Erlandson said. 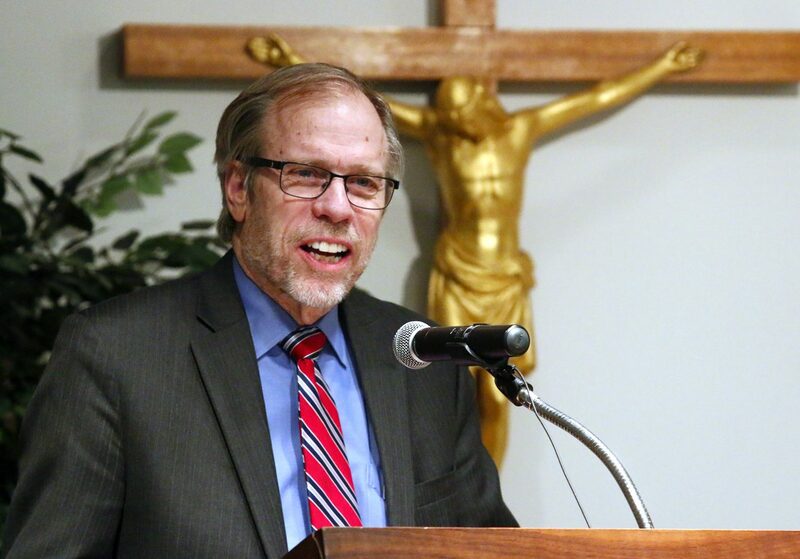 Just as secular media are experiencing seismic changes in their business model and even in their quality, the Catholic press is also under great stress “but it remains a vital and valuable tool in service to the church,” Erlandson said.